A mammogram screening does not prevent death in women. It has frequent false positives and exposes women to toxic radiation. Learn how mammograms work and why breast cancer awareness is a scam. ​What Is A Mammogram Screening And How Does It Work? Mammography is an x-ray imaging method used to examine the breast for cancer. During a mammogram, the patient places her breast on a flat support plate. The operator then compresses the breast with a parallel plate called a paddle. Compression holds the breast in place and evens it out to minimize blurring of the x-ray image. Also, compression makes x-rays travel through a shorter path to reach the detector. This reduces the radiation dose and improves the quality of the x-ray image. An x-ray machine produces a small burst of x-rays that pass through the breast to a detector on the opposite side. The detector can be either a photographic film plate or a digital image sensor. We call the images from the mammography as mammograms. On a film mammogram, low-density tissues, such as fat, appear translucent. Areas of dense tissue, such as connective tissue or tumors, appear whiter on a gray background. In a standard mammogram, they take both a top and a side view of each breast. Radiologists study the size, shape, and contrast of an abnormal region. They also look for tiny bits of calcium, called microcalcifications. If a mammogram shows one or more suspicious areas, the radiologist may want to do more tests. For certain types of breasts, mammograms can be difficult to interpret. This is because there is a wide variation in breast tissue density among women. Denser breasts are more difficult to image and assess for tumor diagnosis. Therefore the sensitivity of mammography in detecting cancer may vary. For many difficult cases, mammography alone is not sensitive enough to detect cancer. Thus doctors combine mammograms with ultrasound or magnetic resonance imaging (MRI). Every year there is a campaign to make women take mammograms. Learn why breast cancer awareness does not prevent breast cancer death. Breast Cancer Awareness Month is an annual international health campaign occurring every October. The purpose of the event is to increase awareness about breast cancer and raise money. BCAM started in 1985 in October. It began as a partnership between the American Cancer Society and AstraZeneca. AstraZeneca is a British-based multinational company that manufactures the popular cancer drug tamoxifen. They also produce many other toxic medications that list cancer as a side effect. The BCAM aims to promote mammography in the fight against breast cancer.They avoid discussion of the causes and prevention of breast cancer. Instead, they use awareness as a way to encourage women to get ​a mammogram screening.Susan G. Komen is the largest breast cancer organization in the United States.The Komen Foundation promotes mammograms as an essential screening tool. They recommend that women get regular mammograms starting at age 40. Despite some ongoing debate, they claim that a mammogram is the best screening tool. The Komen Foundation owns stock in General Electric. General Electric is one of the largest makers of mammogram machines in the world. They are also a big sponsor of the organization. Susan G. Komen also owns stock in several pharmaceutical companies, including AstraZeneca. AstraZeneca has a significant presence at Komen “race for the cure” events. They have been a major force in Breast Cancer Awareness Month.Komen partners with pharmaceutical companies that create drugs that contribute to cancer. They also exaggerate the benefits of mammograms. The Komen CEO salary in 2010 was $459,406 a year. Komen paid founder and CEO Nancy Brinker $417,712 in 2011. Organizations such as Susan G. Komen want to inspire women to take mammograms. But despite that women receive mammograms it doesn’t reduce cancer death. Screenings are a way for pharmaceutical companies to create new patients. The ultimate goal is to make huge profits out of each patient. And the worst part is that mammograms may even lead to more cancer. Mammography screening is one of the greatest controversies in healthcare. The harms are much bigger than the benefits. Routine mammograms are far less effective at preventing breast cancer deaths. It causes unnecessary procedures, over-treatment, and toxic radiation exposure.Mammograms send a strong dose of ionizing radiation through your tissues. Any dose of ionizing radiation is capable of contributing to cancer. A routine mammogram screening often involves four x-rays, two per breast. This amounts to more than 150 times the amount of radiation than a single chest x-ray. Screening mammograms increase the risk of developing cancer in premenopausal women. Squeezing the breasts between two plates can damage small blood vessels. This can result in existing cancerous cells spreading to other areas of the body. Mammograms often don't detect cancers in premenopausal women or breasts with dense tissues. The premenopausal breast is sensitive to radiation. Each 1 rad exposure increases breast cancer risk by about 1%. Cancer can also go unnoticed in postmenopausal women. Mammograms carry a high rate of false positives. False positives can lead to expensive repeat screenings. Screenings result in unnecessary invasive procedures such as biopsies, surgery, radiation, and chemotherapy. If a mammogram detects an abnormal spot in your breast, the next step is often a biopsy. This involves taking a small amount of tissue from your breast. The sample is then looked at by a pathologist under a microscope to determine if cancer is present. Thinking you may have breast cancer focuses your mind on fear and disease. It is well established that stress has damaging effects on your health. So, a false positive diagnosis can be damaging to your health. Even worse is that mammograms don't prevent cancer women in women. In September 2010, the New England Journal of Medicine published a study about mammograms. They wanted to examine the effectiveness of this treatment. They estimated that in 2008, 70,000 cases led to overdiagnosis. This accounted for 31% of all breast cancers diagnosed. They concluded that screenings had at best, only a small effect on the breast cancer death rate. So, not only are mammograms unsafe, but they are not saving women's lives. Even if mammograms are successful at finding cancer it won’t prevent cancer death. Why? Because they will use chemo, radiation or surgery to defeat cancer. All these methods don’t remove the underlying cause of cancer. If you read my blog post about chemo, you know that it only prevents death by cancer in 2% of the cases. Radiation is also toxic and may cause more cancer. Surgery is useless if cancer spreads to other parts of the body. Even if you catch cancer early, surgery only treats the symptoms of the tumor. Because you don't address the causes of cancer, it may come back. Mammography screenings induce a lot of unnecessary procedures, anxiety, and costs. A large-scale Swedish study examined the implications of false positive results of mammography. They found that 726 women out of 60,000 who underwent mammograms got diagnosed.But about 70% of those women were cancer-free! The false positive results were particularly high in women under 50 years old. Some women's cancer can also get undetected. 6% to 46% of women with invasive cancer will have a negative mammogram. The risk goes up if they are young or have dense breasts. If you read this far, you should know that mammograms are unreliable and toxic. But there are non-toxic screenings methods. Let me explain some other ways that you can examine your breasts without using radiation. Breast ultrasound uses sound waves to make a computer picture of the inside of the breast.The sounds waive converts into a black and white image on a computer screen. It can often tell the difference between fluid-filled cysts and solid masses. At the beginning of the examination, a doctor puts a gel on the skin of the breast. They then move a transducer over the surface. The sensor sends out sound waves and picks up the echoes as they bounce off body tissues. Ultrasound tests performed for cancer detection take about 20 to 40 minutes. Once complete, an expert interprets the images. After the analysis, they send the results back to the physician. Ultrasound is readily available and does not expose a person to radiation. It also costs less than a lot of other options. Thermography can detect the first signs of cancer earlier than other diagnostic services.Thermographic cameras work by detecting radiation that emits from the body. All substances in the universe give off some radiation. The amount of radiation emitted increases with temperature. This allows thermography tests to track variations in body heat in the patient. Results of thermal imaging tests are known as thermograms. Heat patterns may show abnormalities, including those associated with breast cancer. Because cancer cells are growing fast, blood flow is higher closer to the tumor. This raises the skin temperature near the tumor site.Thermography is non-invasive, low-cost, and does not require the use of radiation. It also doesn't use compression of the breast and is pain-free.They’re even recommended for women under the age of 50, the age group that mammograms are least accurate for. ​Mammography is an x-ray imaging method used to examine the breast for cancer. An x-ray machine produces a small burst of x-rays that pass through the breast to a detector on the opposite side. The detector can be either a photographic film plate or a digital image sensor. Organizations such as Susan G. Komen want to inspire women to take a mammogram screening. But despite that women receive mammograms it doesn’t reduce cancer death. ​Mammograms ​exposes the patient to 150 times the amount of radiation than a single chest x-ray. Screening mammograms increase the risk of developing cancer in premenopausal women. ​Not only are mammograms unsafe, but they are not saving women's lives. Mammograms lead to frequent false positives and also fails to detect cancer. Breast ultrasound uses sound waves to make a computer picture of the inside of the breast. ​It is readily available and does not expose a person to radiation. It also costs less than a lot of other options. Thermography can detect the first signs of cancer earlier than other diagnostic services. ​It is non-invasive, low-cost, and does not require the use of radiation. ​There are safer screening methods than mammograms such as ultrasound or thermography. If you want to monitor your breast cancer prognosis, then try these methods first. To learn other non-toxic ways to monitor your cancer prognosis download our How To Monitor Your Cancer guide. There are safer screening methods than mammograms such as ultrasound or thermography. If you want to monitor your breast cancer prognosis, then try these methods first. 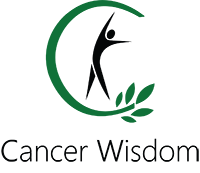 To learn other non-toxic ways to monitor your cancer prognosis download our How To Monitor Your Cancer.